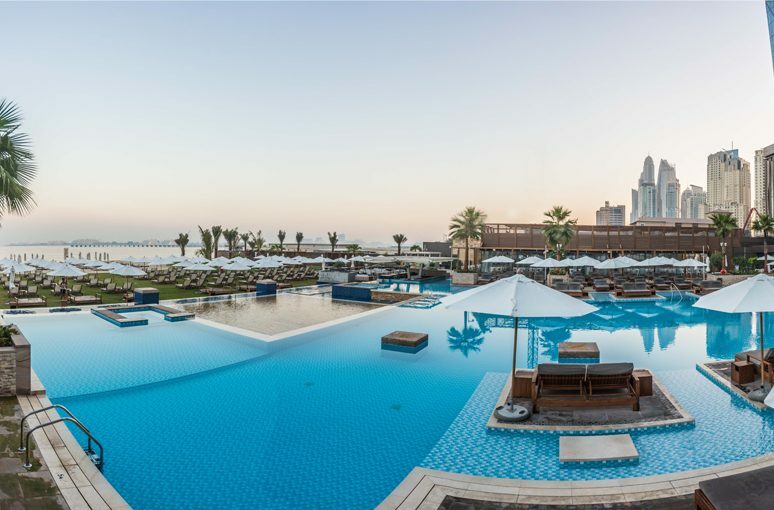 AZURE BEACH, IN THE HEART OF DUBAI, IS YOUR PERFECT CITY ESCAPE TO THE GOOD TIMES. 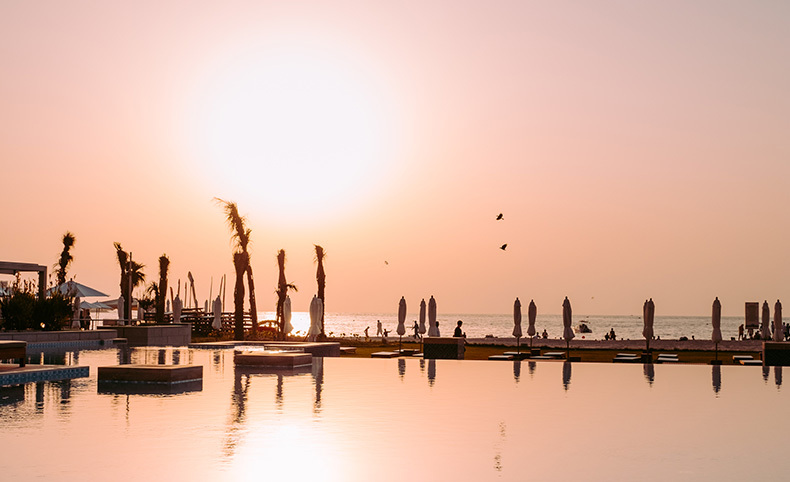 Nestled among the heavenly white sands and shimmering blue waters of the Arabian Gulf, Azure Beach sets the scene for the time of your life. Join the tribe and walk on the wild side as you indulge in Azure’s endless possibilities! 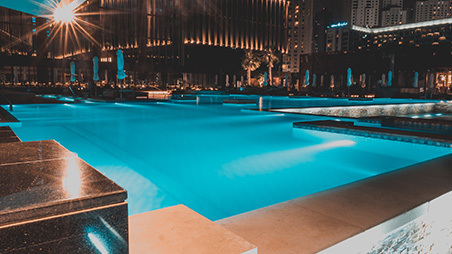 Kick back by the infinity pool and groove to the soundtrack of sun-soaked satisfaction while sampling exotic cocktails, mouth-watering Asian fusion cuisine and tempting shisha offerings. 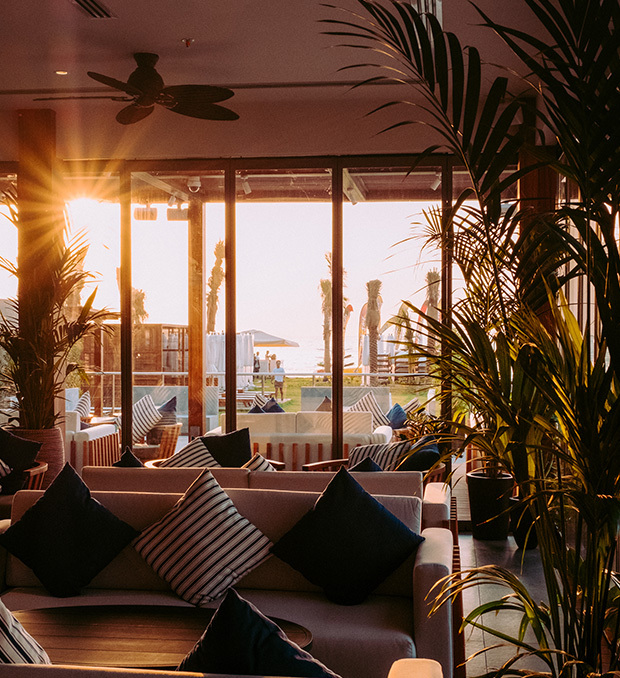 Whether your slice of paradise is living it up on the lush green lawn or lapping up the tribal vibes of the lounge, you’ll find all you need and more here. 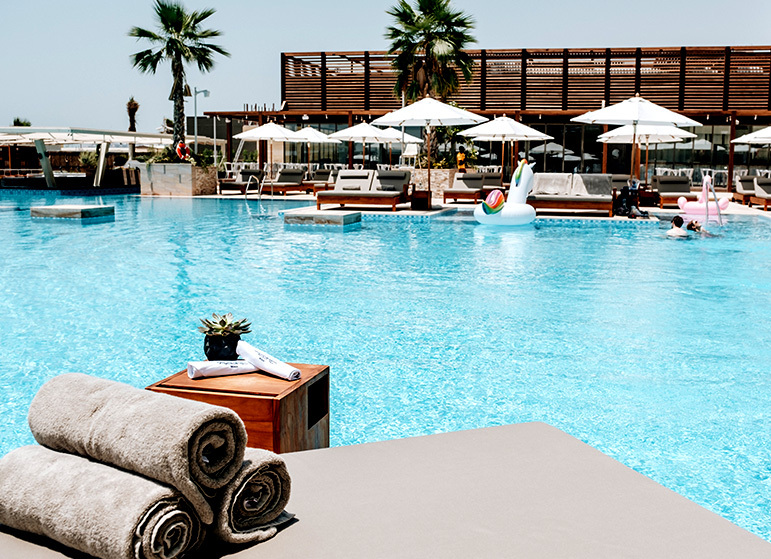 A source of relaxation and enjoyment by day, and an epicentre of entertainment on their themed nights, Azure Beach doesn’t make you choose – it lets you have it all! 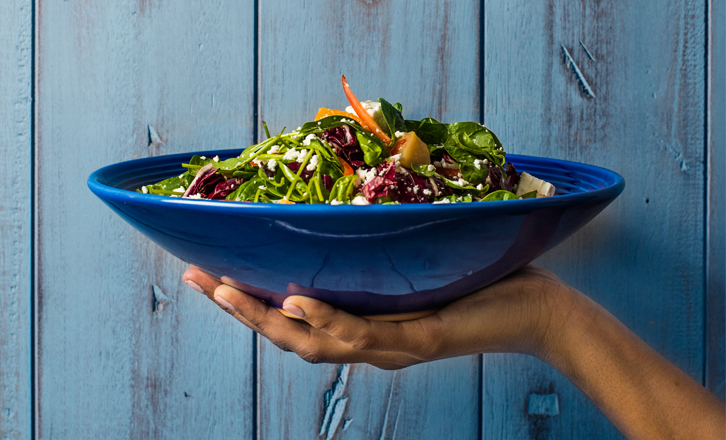 GET A TRUE TASTE OF THE MEDITERRANEAN LIVING. 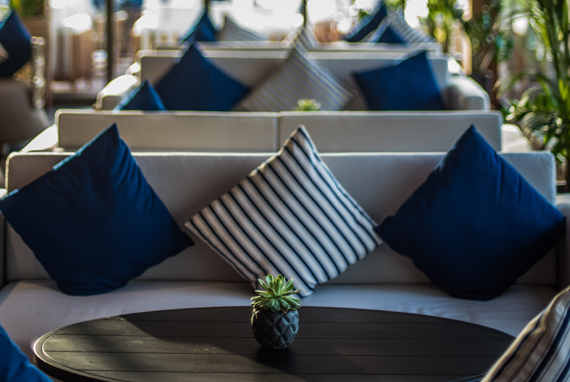 You can get a true taste of the Mediterranean living with the casual, laid back vibes of the Azure Lounge. Whether dipping your toes in the pool, lapping up the last of the sun on the beach or kicking back in the cooling shade. 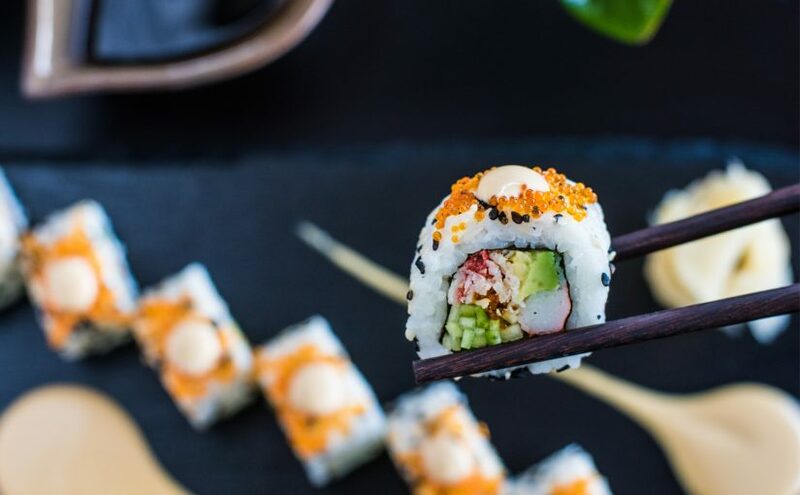 Azure Lounge serves freshly cooked dishes from a tantalizing selection of Asian fusion cuisine making it the perfect dining spot for a casual bite by the beach; And why not, enjoy one of its many exotic shisha offerings while staring towards the Arabian sea and iconic Dubai eye. 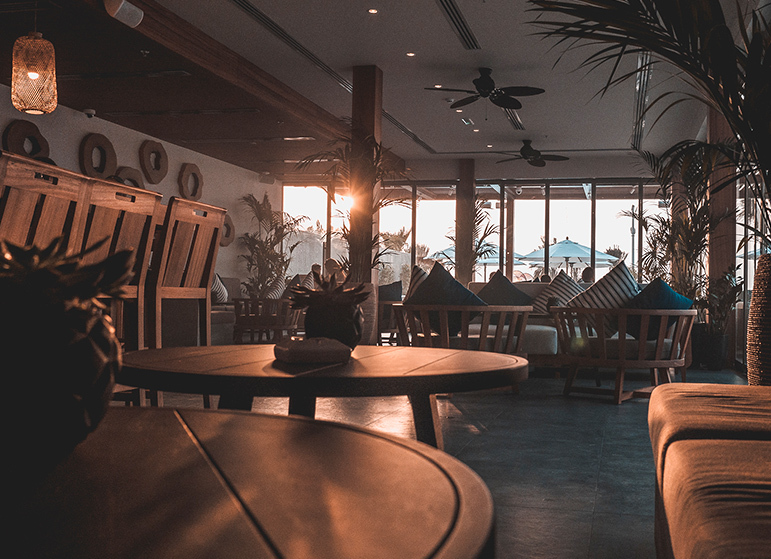 With few better places to watch the sun go down, the Azure Lounge is the ultimate comfort zone, allowing you to sit back and relax. 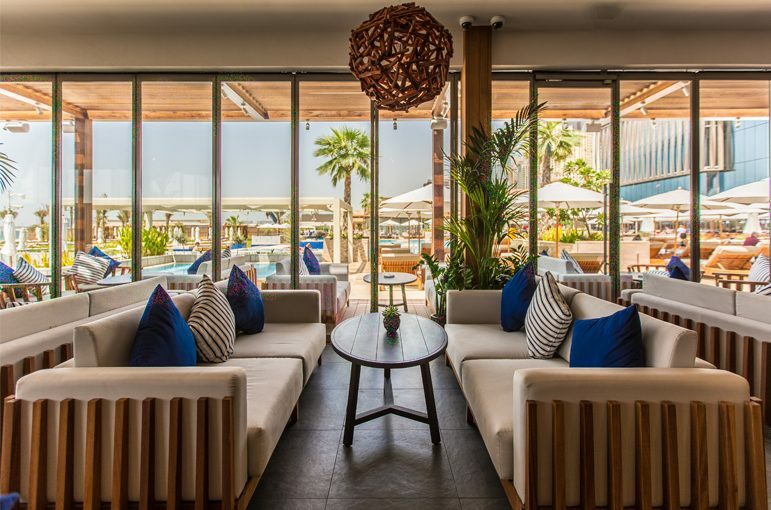 AZURE BEACH IS BOUND TO BE YOUR NEW FAVORITE SHORE-SIDE HANGOUT. 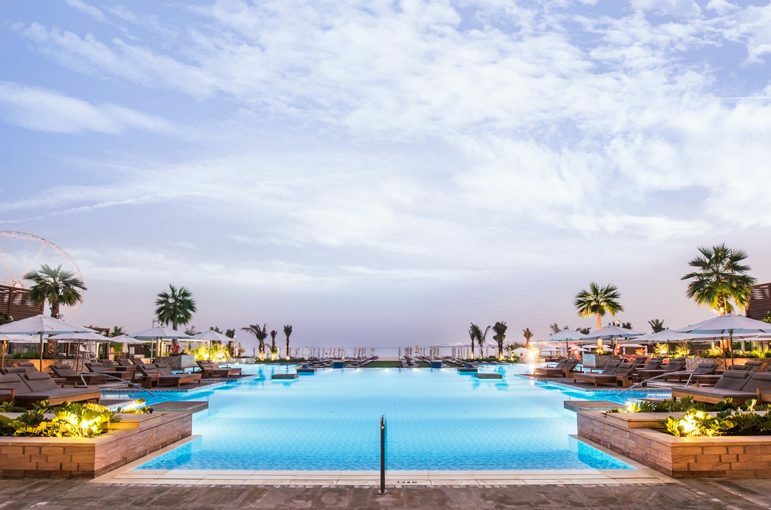 With sweeping views and endless, tempting waters, Azure Beach’s infinity pool is a heaven for the sun worshippers. 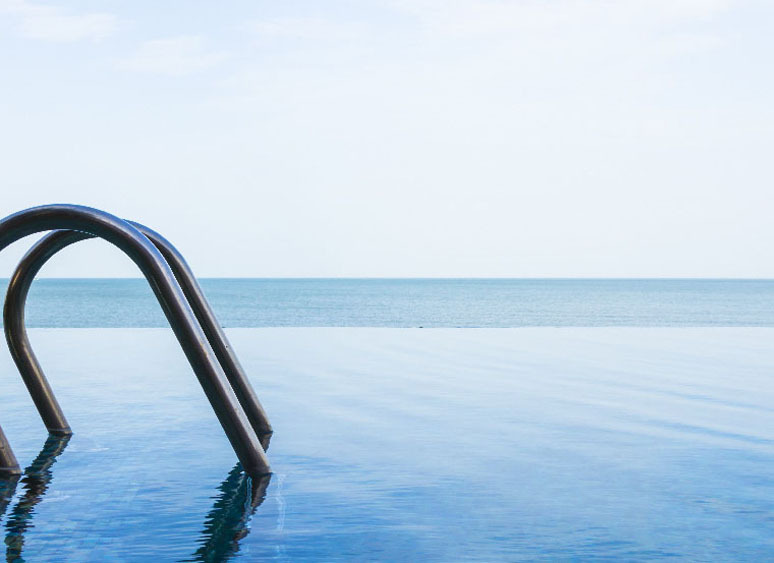 Equipped with private island beds, ideal for those who seek the luxury lifestyle, the pool’s temperature controlled waters offer the most perfect spot in which to relax and soak up your stunning surroundings. 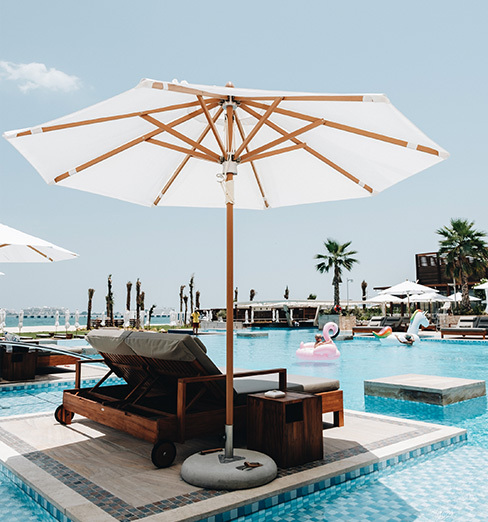 Featuring a vast lawn area, ideal for family fun-filled afternoons and luxurious cabanas - perfect for those who want to spend a relaxing day at the beach in style - this private beach offers every imaginable comfort for the modern leisure seeker. With chilled out vibes, gourmet cuisine and engaging activations, Azure Beach is bound to be your new favorite shore-side hangout. Indulge in brunch on the lawn with live entertainment, special treats & more for an unforgettable Easter experience. 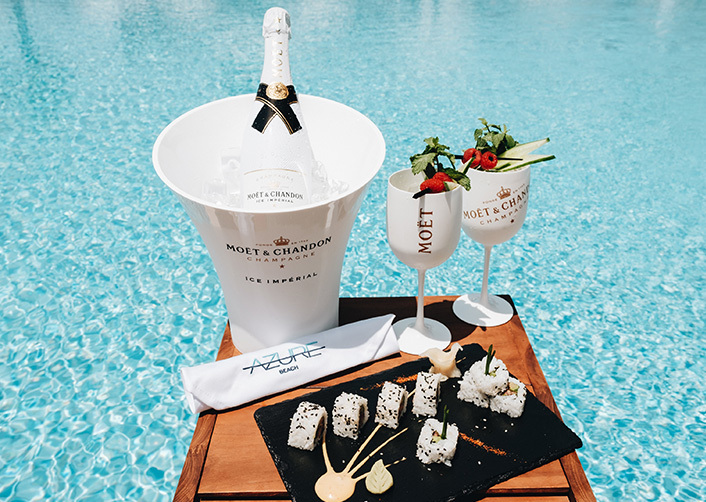 Chill out on your sun-bed or immerse yourself in the good vibes of our tropical lounge and enjoy mouth-watering Asian fusion cuisine paired with soft drinks, house beverages or champagne packages. 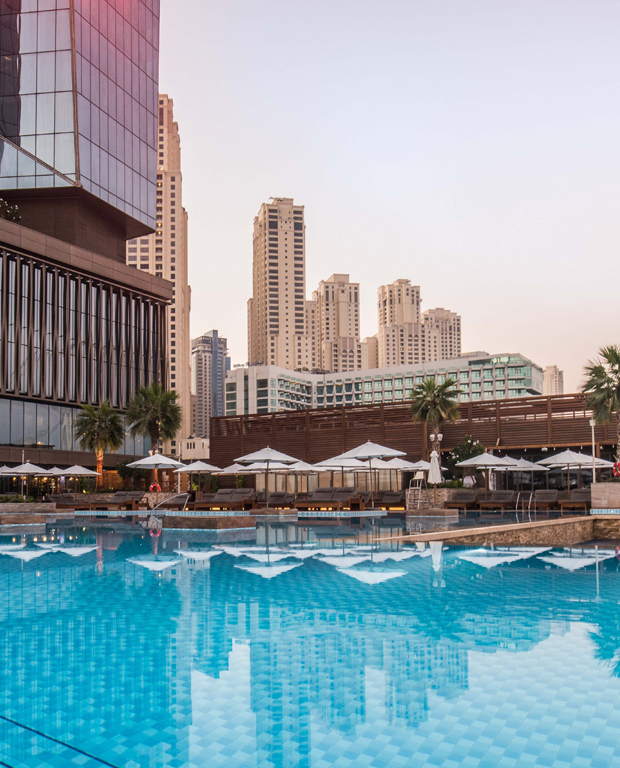 Sample a delicious array of starters, sandwiches and desserts, as the DJ treats you to some tantalising tunes for a refreshing Easter Sunday like no other, only at Azure Beach, Rixos Premium Dubai. What could be more fun than a picnic for two at Azure Beach? Choose between two delicious picnic basket options and a bottle of house or premium wine. A selection of cheeses, sliced cured beef, bread, herb butter, olives, vegetables and seasonal fruit. Vegetables, stuffed vine leaves, hummus, olives, quinoa salad, bread, cucumber yogurt and seasonal fruit. As the sun goes down, the beats go up. 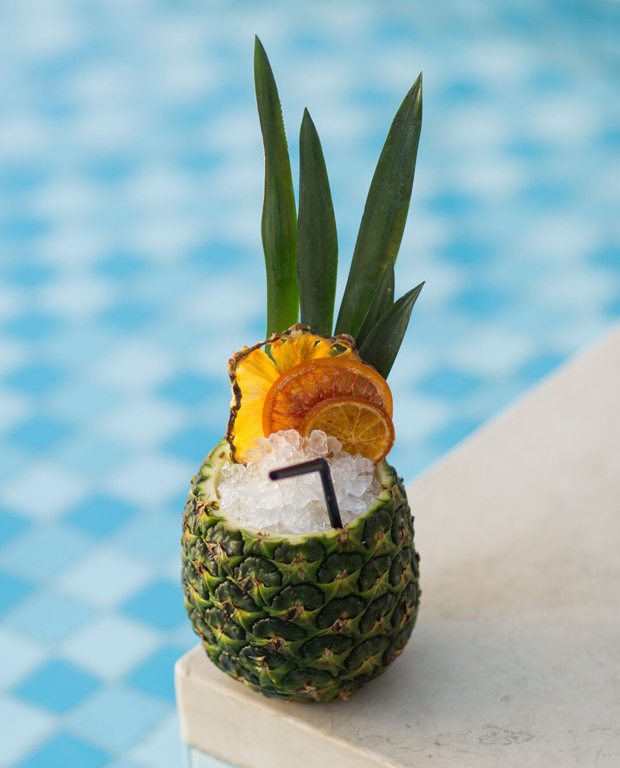 You don’t need to wait until the weekend to treat yourself to a well-deserved chill out. 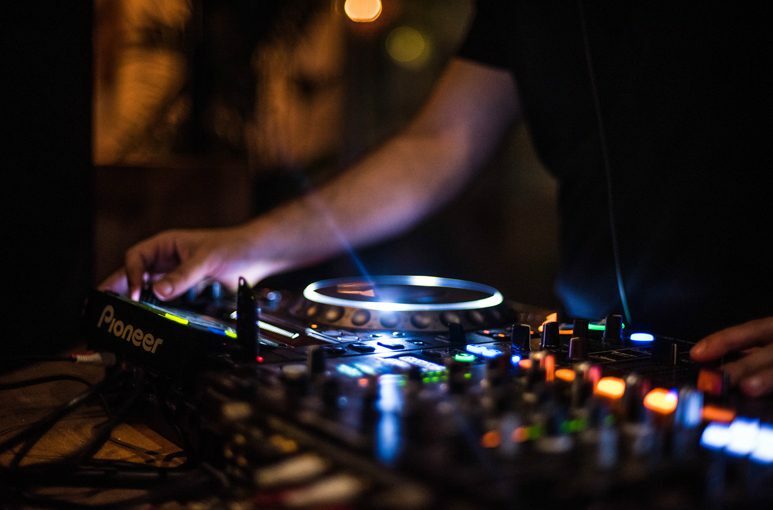 Join the ‘Sunset Tribe’ Sunday to Thursday from 6pm to 9pm and enjoy 2 for 1 on house beverages at the Azure Lounge while listening to the great tunes of our resident DJ. The Pink Sunset Tribe offers all ladies 3 free house beverages and a 20% discount on bar bites every Monday and Tuesday at the Azure Lounge. Top all that up with free shisha cocktails to the first 20 ladies to visit the lounge! (first come first serve basis). Ladies get ready to spend a fun-filled day at Azure Beach: in the morning at the pool and in the evening at the Lounge! 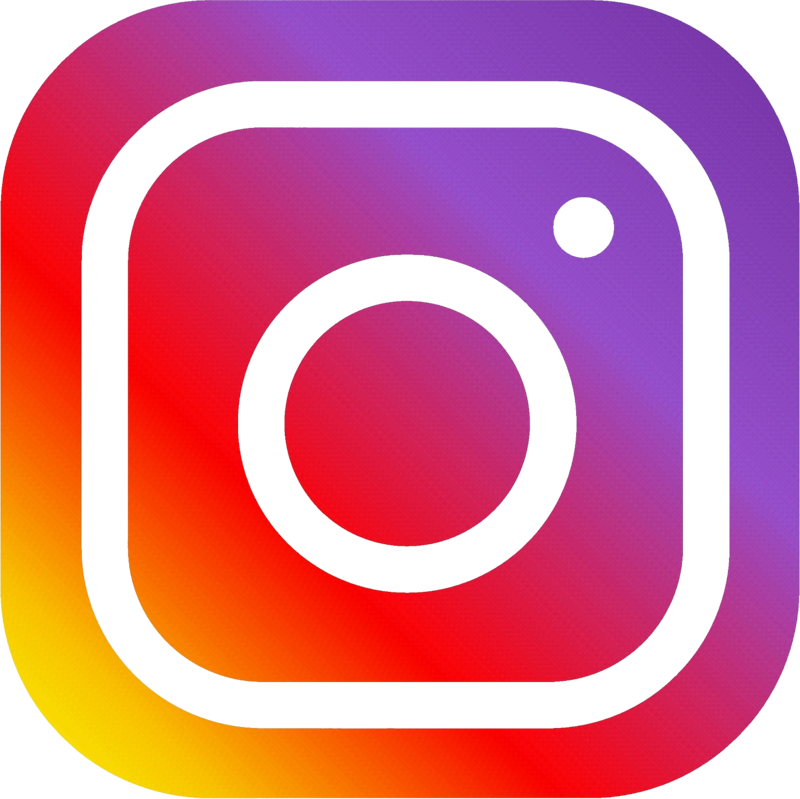 Men receive the normal 2 for 1 on all house beverages offer (Sunset Tribe). Girls just want to have fun, and not just one day a week! 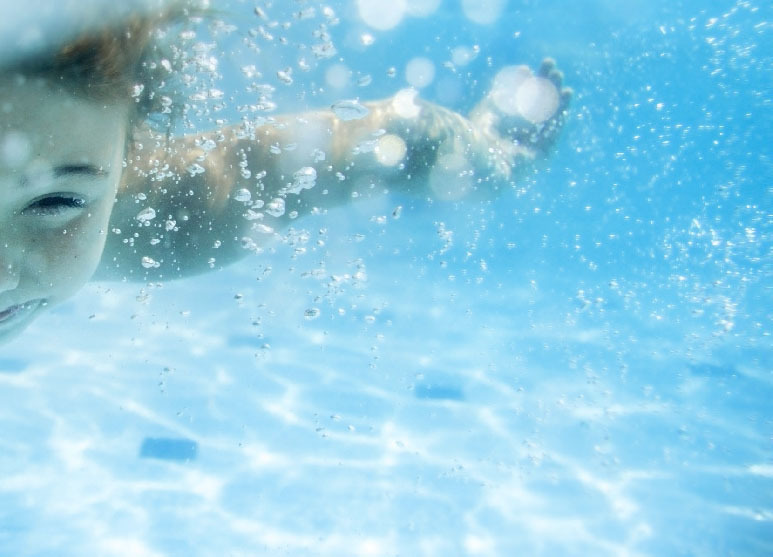 Every Monday and Tuesday, let your hair down, grab a sun lounger by the pool and let us take care of you. 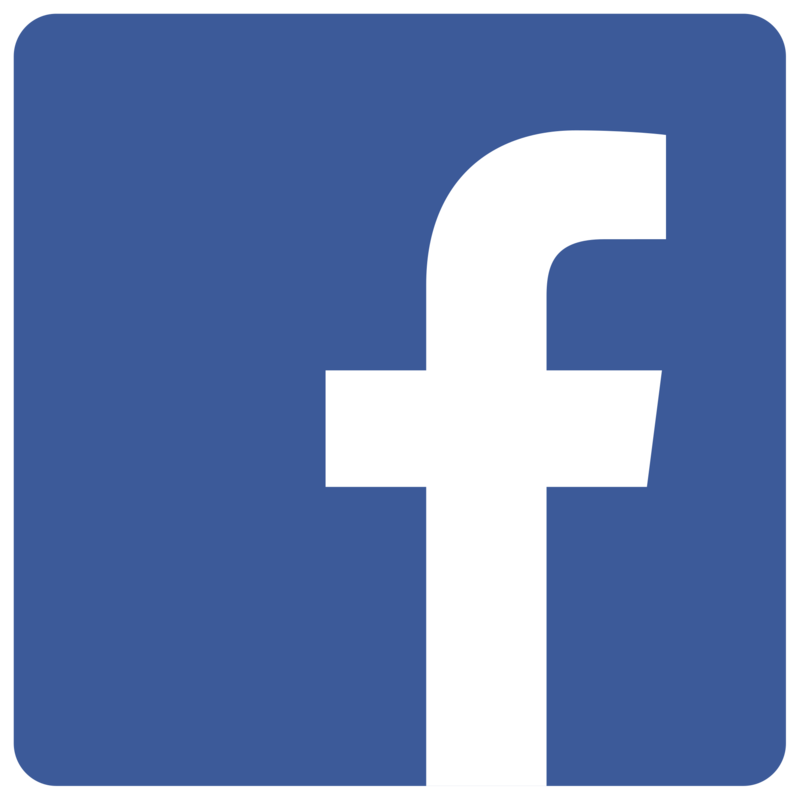 The first 100 ladies get complimentary access! 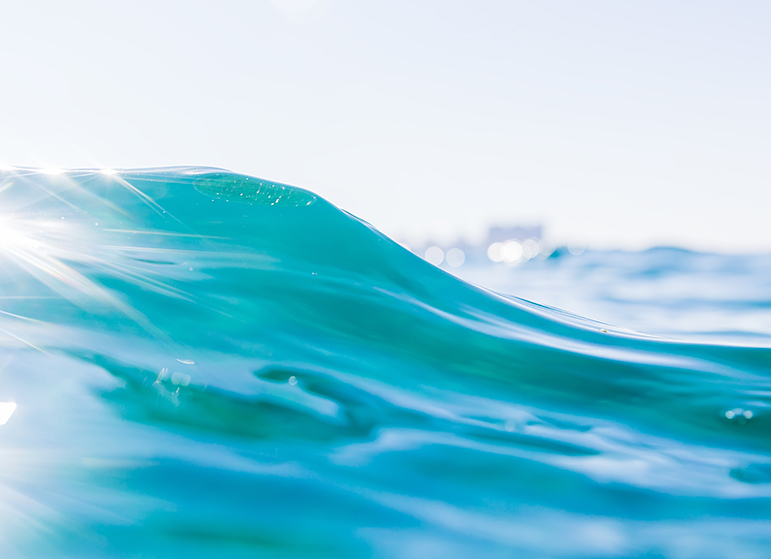 From 10am until the sun sets, relax, rejuvenate and take advantage of our free entrance policy for the first 100 ladies (first come first serve basis). Ladies, we don't take reservations so make sure you grab your spots early. 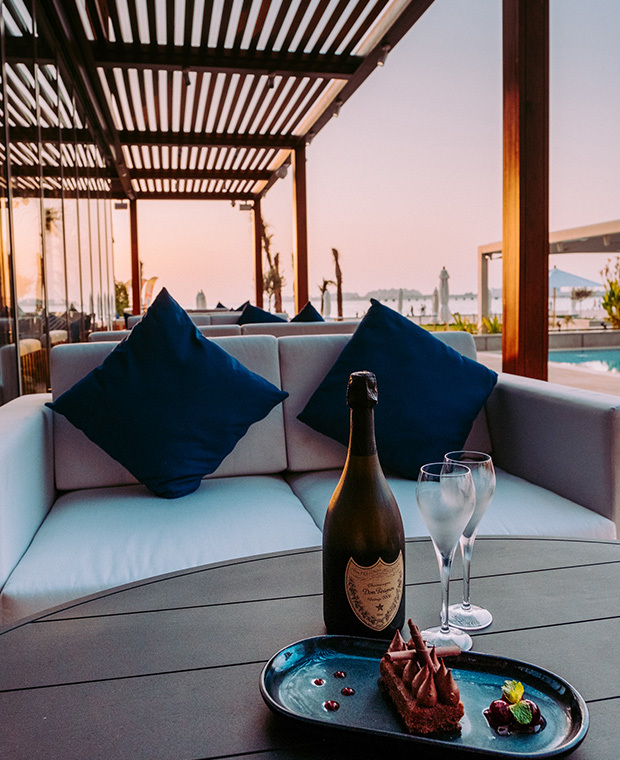 Escape your responsibilities with The Kingsmen Shisha Club and enjoy a special menu of alluring shisha flavors with a fantastic view of the beach. Every Friday, Saturday and Sunday evening from 7pm to late. For reservations, please call +971 5554 55461. 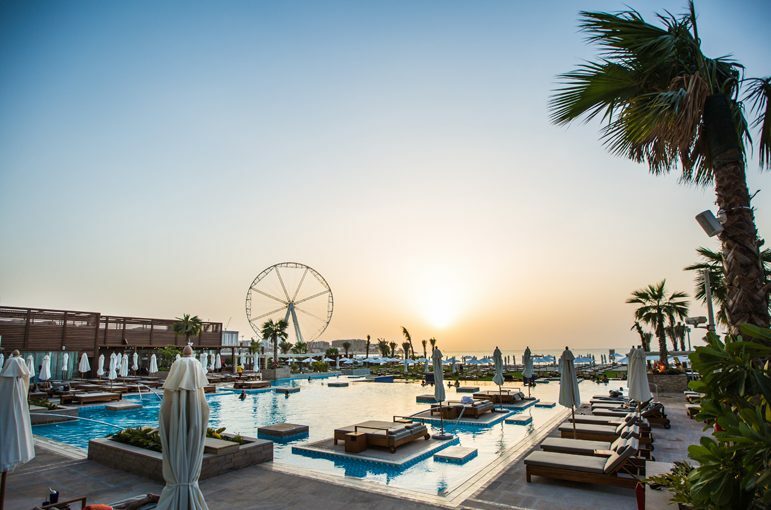 The festival will be held in Dubai on 3rd of May on the territory of one of the best hotels in the region - “Rixos Premium Dubai JBR”, which is located on the JRB beach. The event starts at 20:00, doors open at 18:30. The duration of the concert is 4 hours - until 0:00. An open air stage will be specially built right next to the Persian Gulf Shore. It is a tradition of the Brand to present a multi-hour show by great Artists, original choreographic performances, unforgettable atmosphere and live sound! "Zhara” festival in Dubai has set a high bar: top-level artists, excellent location, unforgettable moments and thousands of satisfied guests will open a new chapter in the history of the brand on May 3rd. Note: During Ramadan Azure Beach wont have live entertainment or DJ sets. 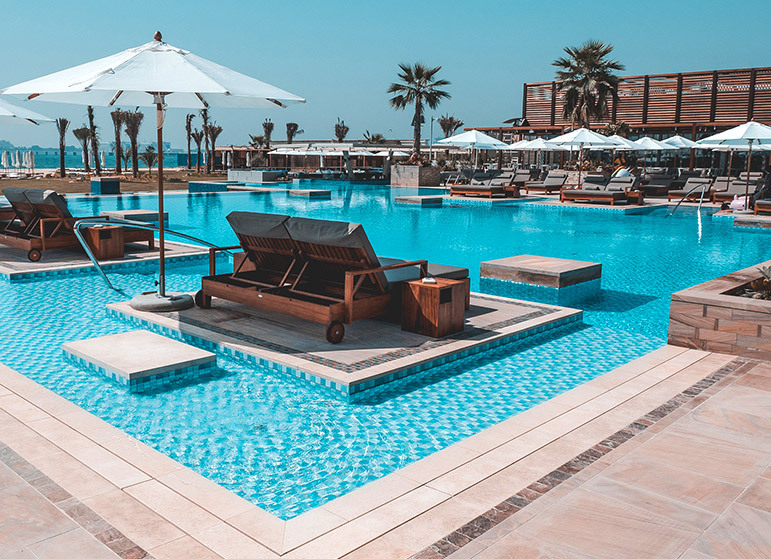 ** Pool & Beach will be accessible from 7am for Rixos Premium Dubai hotel guests only, for basic services such as beach towels, water, juice and coffee, until Azure Lounge opens at 9am. *A gift voucher of 100 AED will be offered at the entrance on the weekdays to be redeemed on food & beverage consumption at Azure Beach. **A gift voucher of 200 AED will be offered at the entrance on the weekends to be redeemed on food & beverage consumption at Azure Beach. 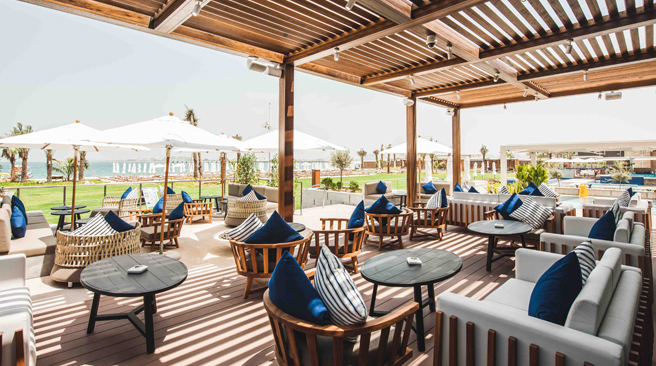 *A gift voucher of 100 AED will be offered at the entrance on the weekends during Ramadan to be redeemed on food & beverage consumption at Azure Beach. * The kids entry is free up to 12 years old, 50% off for kids up to 16 years old and over 16 years old they pay full price. Children younger than 4 years old must be accompanied by an adult. Children who may show symptoms of illness, shouldn’t be left in the care of Kids Club. We kindly recommend that children shouldn’t bring any valuable to the Kids Club. As Kids Club we encourage all children to participate in all activities and follow the rules. Parents advised to their children at least every two hours. Food and beverages are not allowed from outside. Smoking and alcoholic beverages strictly forbidden at Kids Club. A first come first serve policy applies.